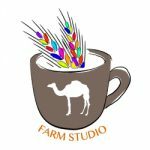 Farm studio International artist residency open for artists, researchers, designers, architects, scientists and farmers with a common interest in creating frameworks for exchange. We collaborate with local community, farmers, artists and scientists are interested in scientific artistic inquiry. Farm such an initiative there would be need to demonstrate some radical new insights and, given the economic downturn, that would also need to be more pragmatic and modest in scope. However, it could provide a timely platform from which to develop a future rural cultural strategy; i.e. building up cultural capital, developing economic capacity, and also encouraging artists and arts professionals to do more to support rural-urban regeneration initiatives. We provide two different geographic location Urban and Rural.